Through their incessant playing and enthusiastic fan base, they’ve become one of the fastest-growing, original jambands out of California today. Named after the elusive Higgs-Boson particle -which provides for “mass” of all things in the Universe and helps to unify the different forces; The Higgs blur musical boundaries and unify the different sounds of jam rock, prog, alt-rock, reggae and blues into an awesome musical fusion. The four members include John Lovero (Guitar/Vocals), Garrett Morris (Drums), David Barsky (Bass/Vocals), and Jesse August Jennings(Keys/Organ/Synth). They have tremendous stage presence and truly enjoy interacting with their audiences – and it shows up in their sound, which is known for being tight & infectious. Come see for yourself what makes The Higgs unique and why they’re gaining such a loyal fan base all over America! Stevie Wonder, Ryan Adams & The Cardinals, Phish, Pink Floyd,Drive-By Truckers, Grateful Dead, Paul Simon, The Stuff, Miles Davis, Gram Parsons, Crosby Stills Nash & Young, Wilco, Medeski Scofield Martin &Wood. 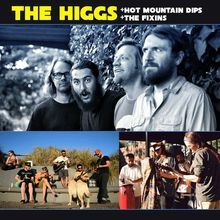 Through their incessant playing and enthusiastic fanbase, The Higgs have become one of the fastest-growing, original jambands in California today. Named after the elusive Higgs-Boson particle -which provides for “mass” of all things in the Universe and helps to unify the different forces; The Higgs blur musical boundaries and unify the different sounds of jam rock, prog, alt-rock, reggae and blues into an awesome musical fusion. 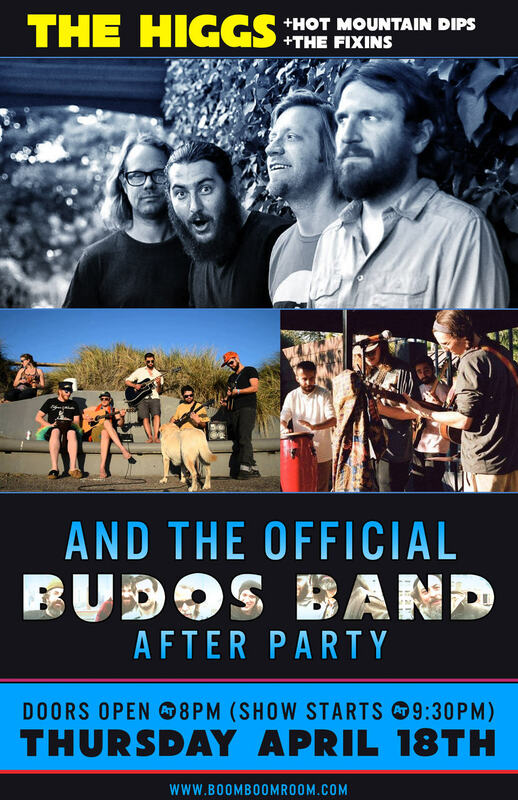 The four members include John Lovero(Guitar/Vocals), Garrett Morris (Drums), David Barsky (Bass/Vocals), and Jesse August Jennings (Keys/Organ/Synth). With their tremendous stage presence showing how much they truly enjoy interacting with their audiences, it shows up in their sound, which is known for being tight& infectious. Come check out why The Higgs are one of the fastest-growing bands in the scene today!